Herbiar announces the launch of its Organic Castor Oil. Made up of the best quality natural ingredients selected carefully to bring the best to the customer. Rich in nutrients, it helps to restore the health and beauty of hair and skin. LITTLE ROCK, AR, May 31, 2018 /24-7PressRelease/ — Herbiar, a natural and organic skincare brand, which is known for its natural-based skincare products, will announce the launch of its USDA Approved Organic Castor Oil, Made in the USA, for the treatment of hair and skin issues. The product is the purest form of oil, extracted carefully with highly advanced technology to make sure that you get the best version of the oil and can reap all the benefits the oil has to offer. It leaves your skin and hair healthy and beautiful, and gives a new life to them. Organic Castor Oil is USDA approved and is guaranteed to be highly pure, natural and free of any harmful additives or chemicals. The authenticity of the product is guaranteed. The rich fatty acid nature of the oil makes it a potent healer to repair all damage done to the hair and skin over time. The oil, when applied, nourished skin and hair with all the essential nutrients that it has lost over time. Extracted by the cold-press extraction process from the highest quality Castor Bean Seeds, the oil is compatible with all types of skin and hair and works equally well, giving the best results. The oil is cruelty-free and never tested on animals. 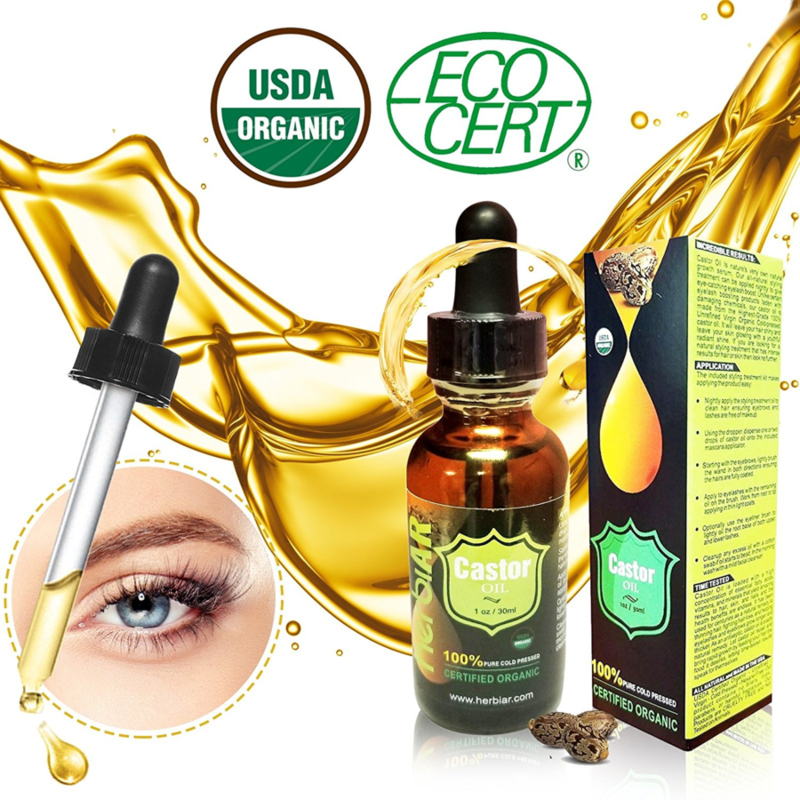 “Organic Castor Oil is formulated after a lot of research and with specialized care to make sure that the customer gets the best when they use the product. It has zero additives in it, which makes it natural, pure and safe for use by all skin and hair types. The regular application of the oil helps to improve the natural growth of hair and makes them healthy. When applied to the skin, it deeply moisturizes skin and keeps it hydrated. So, it is your ultimate skincare and hair care solution,” says, CEO Herbiar. Herbiar is a natural and organic skincare brand, which offers its clients a wide range of good quality natural and organic skincare products that cater to the needs of all types of skin and hair. Carefully selected high-quality ingredients formulate all products at Herbiar, which are then combined with extensive research and advanced techniques to make a highly effective product that can fulfill all the needs of your skin and hair and make them beautiful, healthy and radiant.